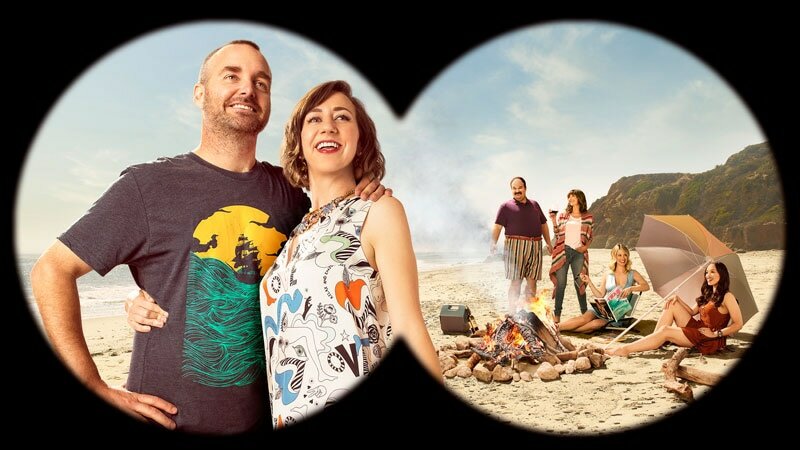 THE LAST MAN ON EARTH is currently in its fourth season. From writer/producer Will Forte and directors/producers Christopher Miller and Phil Lord (“The LEGO Movie,” “21 Jump Street”), THE LAST MAN ON EARTH is a comedy about the life and adventures of TANDY (fka PHIL) MILLER (Forte), an average guy who inadvertently became humanity’s last hope. Forte recently was nominated for a 2016 Emmy Award in the category of Outstanding Lead Actor in a Comedy Series. The series was nominated for four 2015 Emmy Awards, including Outstanding Lead Actor in a Comedy Series (Forte), Outstanding Writing for a Comedy Series (Forte) and Outstanding Directing for a Comedy Series (Lord, Miller). After a deadly virus swept the planet in 2020, only one man was left on earth: Tandy Miller. Tandy searched the country in his RV for other survivors, only to return to his hometown of Tucson, realizing that he was almost certainly the last living being on the face of the earth. Slowly, a handful of other survivors found their way to Phil, including his now-wife, CAROL PILBASIAN (Kristen Schaal), a gratingly optimistic, grammar-loving woman with a goal of repopulating the earth. After Carol, came MELISSA CHARTRES (January Jones), who suffers no fools; the lovable and cheerful TODD (Mel Rodriguez); charming southerner and wino GAIL (Mary Steenburgen); Aussie ERICA (Cleopatra Coleman); and, finally, a strapping, second PHIL MILLER (Boris Kodjoe), who tragically died of a botched appendectomy in Season Two. The group relocated to Malibu, where MIKE MILLER (Jason Sudeikis), Tandy’s astronaut brother, finally found them, after spending years alone in outer space. In the season finale, Mike was sequestered from the group when he showed signs of having the virus, and Malibu appeared to be under siege as unknown, seemingly hostile survivors approached the beach. Season Three will pick up where the finale left off, with the group’s safety in jeopardy as armed intruders in hazmat suits approach the house. THE LAST MAN ON EARTH is produced by 20th Century Fox Television. The series is created and written by Will Forte. The series is executive-produced by Forte, Phil Lord, Christopher Miller, Seth Cohen, Andrew Bobrow and Erik Durbin. “Like” THE LAST MAN ON EARTH on Facebook at facebook.com/TheLastManOnEarthFOX. Follow the series on Twitter @LastManFOX and join the discussion using #LastManOnEarth. See photos and videos on Instagram @lastmanfox.